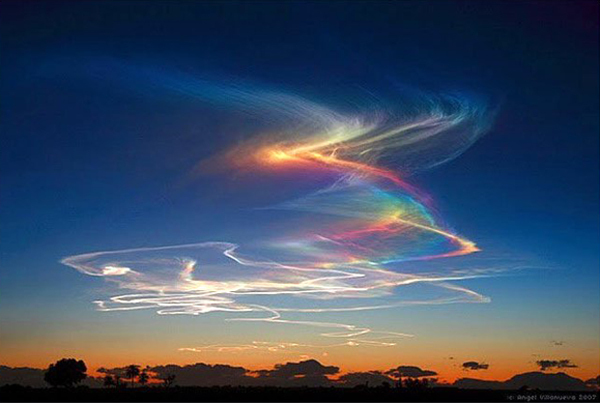 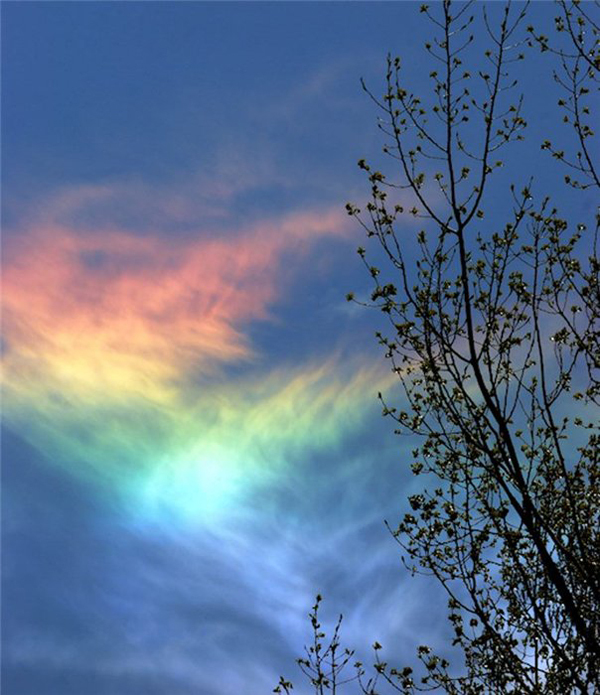 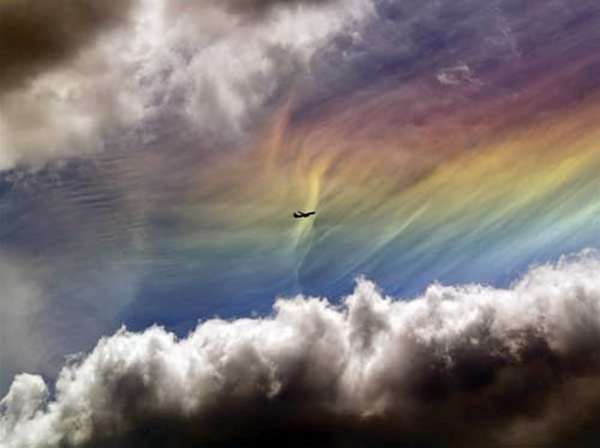 Amazingly beautiful natural phenomenon can be observed when the sun rises high in the sky. 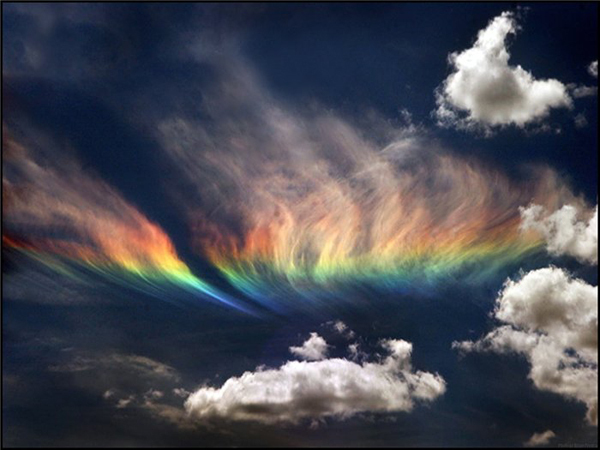 The rays of the sun when it passes through high-altitude clouds composed of ice crystals in the form of hexagons. 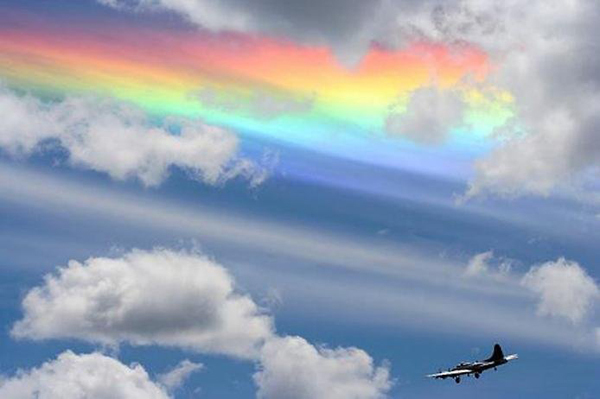 The sunlight is refracted in these crystals in bizarre way, and as a result, we see “fire rainbow”. 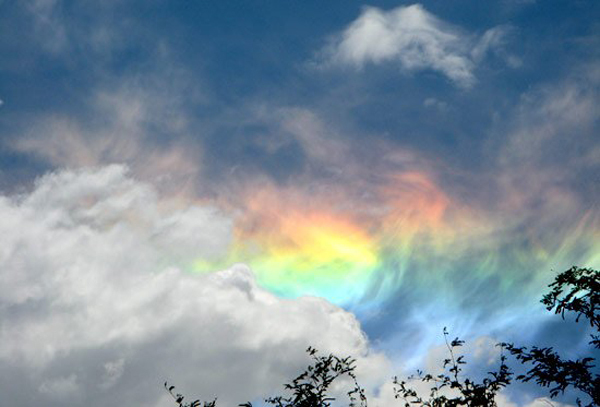 This phenomenon is not local, it can extend over several hundred square miles.